"Welcome to Comeback Kids Ministries in Stockton, Ca! A Church that will Build you with Love and Accept you as you are!" 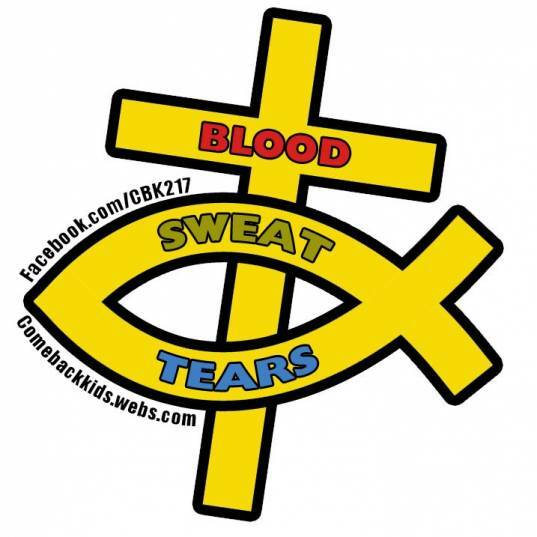 Comeback Kids Ministries is a Christian Organization which focuses on what we call the ?7 R?s? of the Christian Ministry. We believe that EVERYBODY can have a personal COMEBACK STORY of their own, when God uses his people to help others in any way they can. We believe that everybody, not one person being left out has the ability to live a seemingly perfect life, and that all men can experience a fall or a point in life where they just ?Mess up? but Comeback Kids Ministries will be here to help them get right back on the right track. ?All men fall but the great ones get back up again, and again, and again.? Rescuing: To preach the Word of God in a way that it Rescues a person from the current life they are living. Reconciling: To show all men and women that they can be reconciled to God by the Finished Work of Jesus Christ. Restoring: To restore a persons life and turn what other people consider ?TRASH? in ?TREASURES.? We believe that God is in the Restoration business and still to this day he uses the small things of this world to confound the mighty. Rebuilding: To help fellow brothers and sisters, man kind to rebuild their lives. We offer counseling, Social and emotional support as well as physical needs as much as our finances will allow us to do so..
Revitalizing: Ever felt dead? Like all the life you have in you has been drained and you have no energy left to keep on moving forward? We preach the Gospel of life to people, and not only life, but ABUNDANT life so that all man kind can experience a new breath of fresh air and experience a power that not just gives life support but shocks a person into a new season. Revolutionizing: We preach a Gospel that changes a persons life from the foundation, upward and from the inside out. We believe that the Gospel has the ability to radically tweek a person and revolutionize their lives. We want people to experience a new life and become the new creation that the Bible talks about! Repeating: We believe that the last R of the Ministry should stand for ?Repeating? as in repeating the process with other people who have experience a hard time or season in life. It isn?t enough that we, ourselves get our own Comeback Story by the grace of God, but we have to take others by the hand and help them experience a radical change of life themselves. We must spread the word and multiply the disciples, one Comeback Story at a time. Comeback Kids Ministries believes in full community outreach. We believe that if we help meet some basic physical needs in a persons life, then we can help that family become less ?Stressed Out? over things and then be able to have a better functioning family situation. It has been proven by statistical data that if a community has some basic support then is ls far less likely to be involved in Child Abuse, Mental Health Disorders, Criminal activity, Marriages being lost, and Domestic Violence. Some of the very basic needs that have been proven to help when met are things such as Food, Diapers, Baby Products, Low Cost Counseling (Not Mental Health), Activities, and Hygiene products. With all of this being said, we are a family oriented, evangelistic ministry which is based out of our Home Church in Stockton, Ca. We want to help meet any needs we can to prevent the above mentioned issues that can happen to anybody at any time.